Oxpeckers | SA’s tigers going home to China? SA’s tigers going home to China? 10 Jan SA’s tigers going home to China? A top Chinese official involved in the ambitious international collaboration to save the rare South China tigers from extinction said a receiving base located in Meihuashan National Park in Fujian province would be completed by the time of the Chinese New Year in late January. Lu Jun, director of the State Forestry Administration’s wildlife research and development centre, said the Meihuashan facility would replicate the techniques used in South Africa to ensure the tigers can survive in the wild. The facility lies within the historic range area of South China tigers and would be used for breeding and conservation purposes, he said. The project started in September 2003 when two captive-born South China tigers were shipped from Chinese zoos to South Africa, in terms of an agreement between the State Forestry Administration, Save China’s Tigers in the United Kingdom and the Chinese Tiger South African Trust. The number has since grown to 15 at the Laohu Valley Reserve in the southern Free State, named after the Chinese word for “tiger”. Supervisor Vivienne McKenzie said nine of the big cats were able to hunt buck and fend for themselves on the open grasslands of the reserve. According to supervisor Vivienne McKenzie, nine of the big cats are able to hunt buck and fend for themselves. 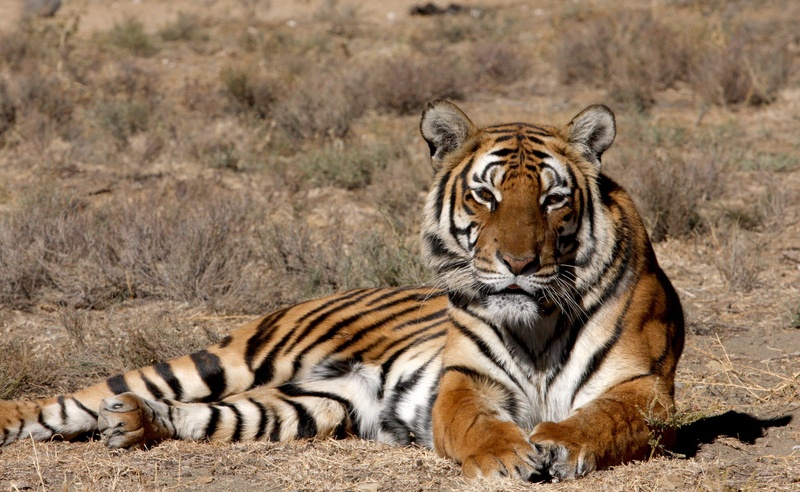 The South China tiger is one of the Asian country’s oldest breeds and was prolific in the past. In 1949 statistics indicated there were still 4 000 of them left in the wild, but officials declared them “pests” in the 1950s and paid bounties to hunters to exterminate them. In the past 20 years not a single South China tiger has been seen in the wild, and the remnant population of about 100 in China are the zoo-bred progeny of six wild cats caught in the 1950s and 1960s. In 2009 the International Union for the Conservation of Nature named them the world’s most endangered tiger subspecies. The original goal of the Laohu Valley project was to get tigers re-wilded in South Africa and to release them into wilderness areas in China in 2008. Li Quan, one of the founders of the project, aimed to make the South China tiger the mascot of the 2008 Summer Olympics in Beijing. The project received support from conservationists in the United States, Japan and Brazil, and the first two tiger cubs – named Cathay and Hope – arrived in South Africa in September 2003. 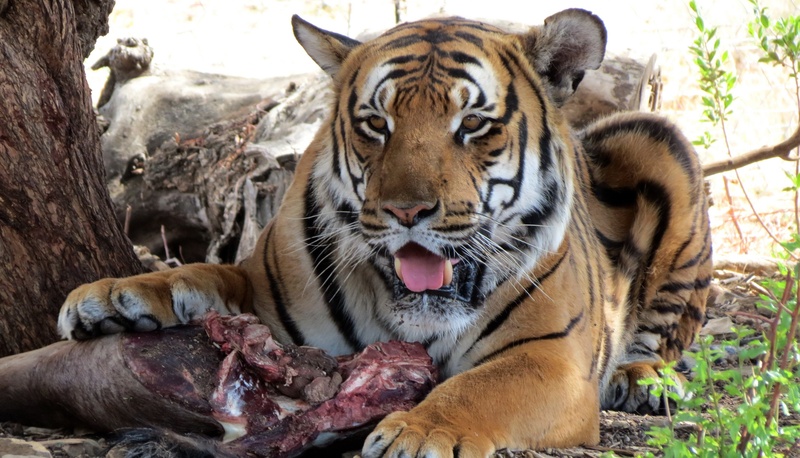 A year later cubs named Tiger Woods and Madonna were flown out, and in 2007 an adult tiger – “Number 327” – was sent from a zoo in Suzhou, in the eastern province of Jiangsu, to start a breeding programme. The 2008 deadline came and went, mainly because of difficulties in securing a suitable site in China to release the tigers. Field studies by experts from China and South Africa had narrowed the choice down to two possibilities – Zixi County in the eastern province of Jiangxi, and Liuyang in the central province of Hunan. The two areas, the experts said, not only satisfied the requirements of the tigers for living and breeding in the wild, but also had good prospects for eco-tourism. The State Forestry Administration issued notices to the provincial forestry bureaus of Jiangxi and Hunan in 2006, identifying an area in northern Zixi County and the Zhushuqiao region of Liuyang as reintroduction sites. Cathay was one of the first two tiger cubs imported to Laohu Valley in 2003. This photo of her was taken in June 2013. But the relocation of residents in those areas — both in excess of 1 000 people — would require approval from the State Council, the country’s cabinet. Changing the zoning status of the land within those regions, currently zoned agricultural, would require approval from the Ministry of Land and Resources. In the end, the animals did not move to those sites and the State Forestry Administration again convened a panel in 2010 to choose another area. Three sites were identified, but the central government has not signed off on them. Lu said the Meihuashan facility had been used for the captive breeding of tigers since the 1990s. Renovations due to be completed in January would make it suitable for use as a “re-wilding training and population rejuvenation centre based on the Laohu Valley model.